Frozen motion. Natural warmth. Vital beauty. Pure simplicity. Understated character... With its minimalist design, solo does not outspokenly call attention to itself, but in all its purity it has a quiet presence all of its own. The lamp is cast and polished by hand, which makes each one unique. Solo is available as a wall lamp, outdoor wall lamp (with optional inbuilt twilight switch), hanging lamp (two sizes) and as an uplighter lamp, and is made of patined bronze or aluminium (various colours). The sand-like texture gives the lamp a warm, natural appearance and the halogen reflector provides a pleasant, diffuse light. 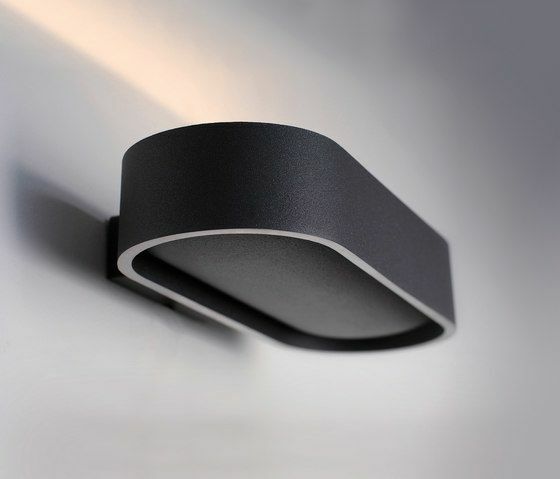 The wall lamp shines upwards and downwards. The large version of the hanging lamp is also available with a dimmable fluorescent tube. An interesting snippet of information is that the lamp is an ode to Solo, Jacco Maris’s dog. A paw print on the back is silent witness to this. the solo is designed by Jacco Maris and Ben Quaedvlieg. Making something from nothing and creating maximum forms from minimal amounts of materials… This is the basic concept that underlies the creation, since 1994, of the light features of Jacco Maris.